What are your must-have wedding elements? What are the parts that stress you out the most? I want to hear everything so we can craft a day that exceeds your wildest imagination. Since I'm positive we'll end up being great friends over the course of planning your wedding, let's get to know one another! I fell in love with wedding planning when my sister was planning her wedding over a decade ago. The colors, the flowers, the style of the wedding, all of it makes my heart sing! 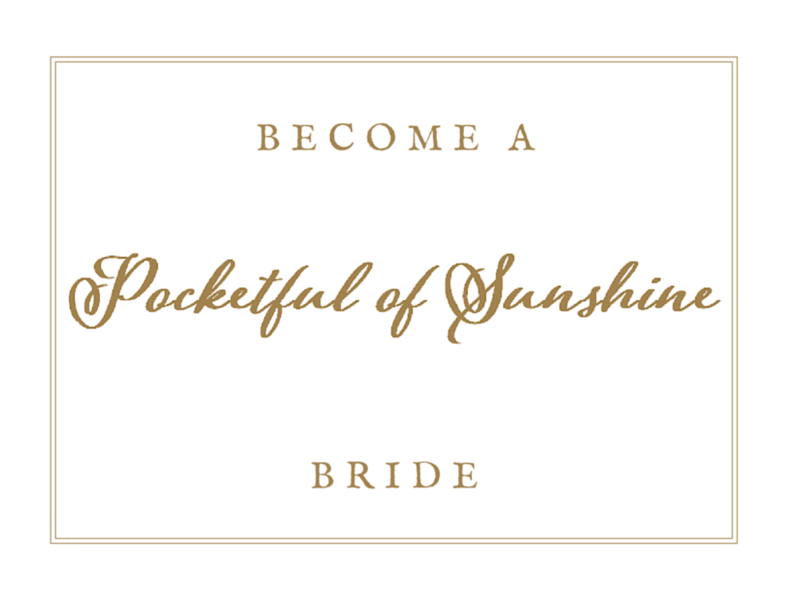 I started helping friends with their weddings, and soon the idea for Pocketful of Sunshine was born. My secret wish is to one day run a B&B in Tuscany. I can often be found traveling back roads and soaking up the local history with my fiancé Jason. (We get lost on purpose sometimes, but that's our little secret, ok?) I ADORE Pinterest, Etsy, and SEC Football! 1 Corinthians 16:18 says "let all that you do be done in love." This is a motto I strive to live for every day - not only in my wedding planning business, but in my personal life as well. I'm a firm believer that if you approach each day with a spirit of love, you will always succeed! Meeting new couples and helping them design the celebration of their dreams is a true source of inspiration for me. Whether it’s a completely out of the box soiree you’re after, or a more understated affair, I'm excited to work hand-in-hand with you to plan and execute the day of your wildest dreams. We're ready to get started planning our dream wedding!